The original route is one of my favorites. 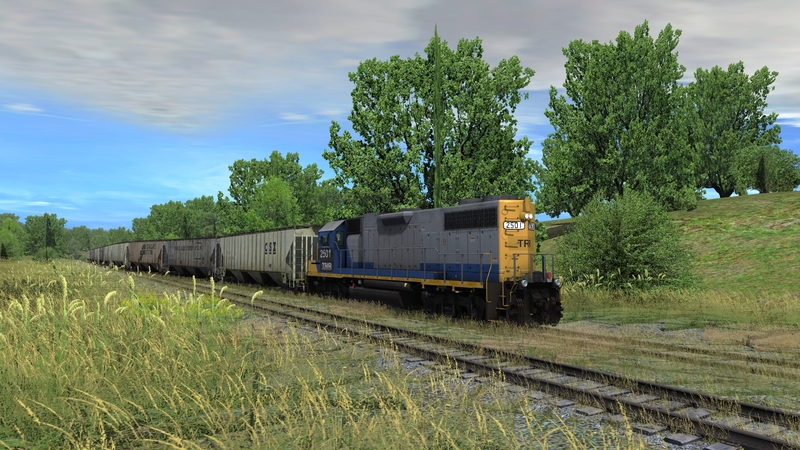 I use the Maple Creek Branch (TS12) available on the DLS. True to the original with only minor modifications. The Route: What JR has done is simply amazing. The attention to detail is what I’ve come to expect from JR products. A lot of work went into this route. New buildings, industries that were just eye candy in the original are functioning in this version (graineries specifically). What they have done with the yards brings them to life. 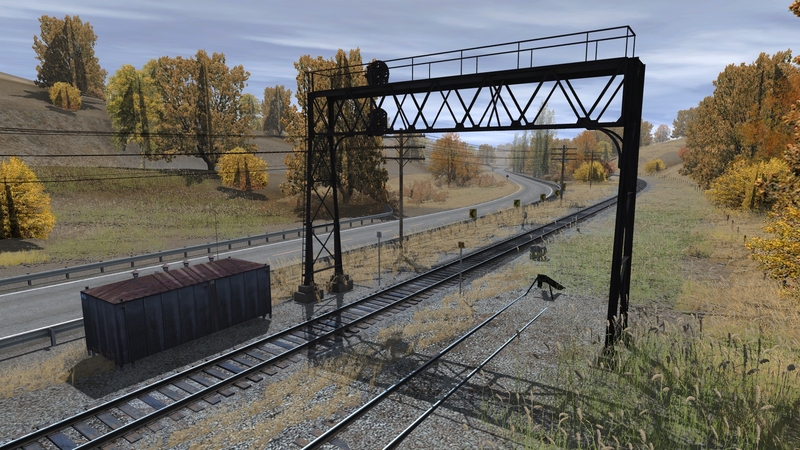 Vehicles, freight platforms, trees and grass, people. 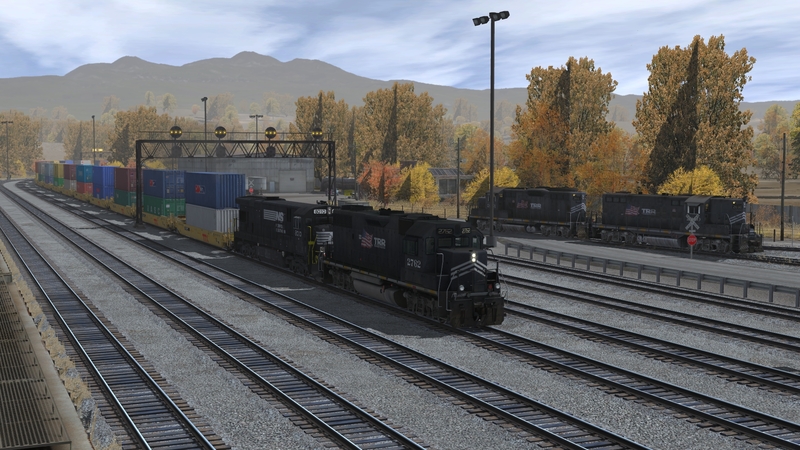 My first look was from a siding at Mapleton yard. Wow. Never looked so good. 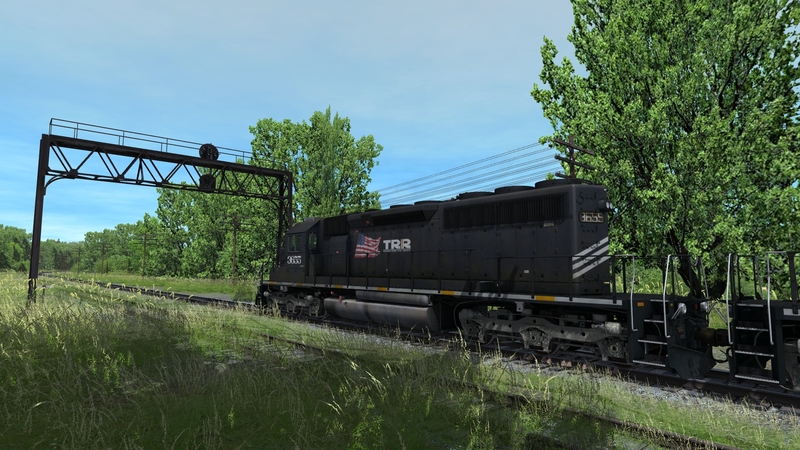 Content Pack: Beautifully rendered locos in Tidewater RR livery. Rolling stock nicely detailed. Tried out one of the included sessions and was very impressed. Instructions were provided at critical points. It was a nice leisurely drive through the countryside, allowing plenty of time to admire the scenery. I did have a couple issues with both the route and the content pack. 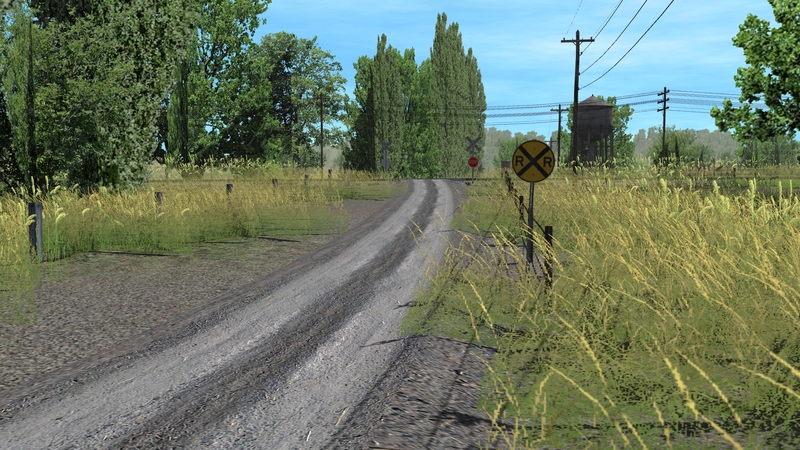 For the route, 3 of the grass items gave errors on a missing aliased mesh file. The mesh is there, and the reference in the config looks correct. I resolved it by downloading the previous version of each of the assets. 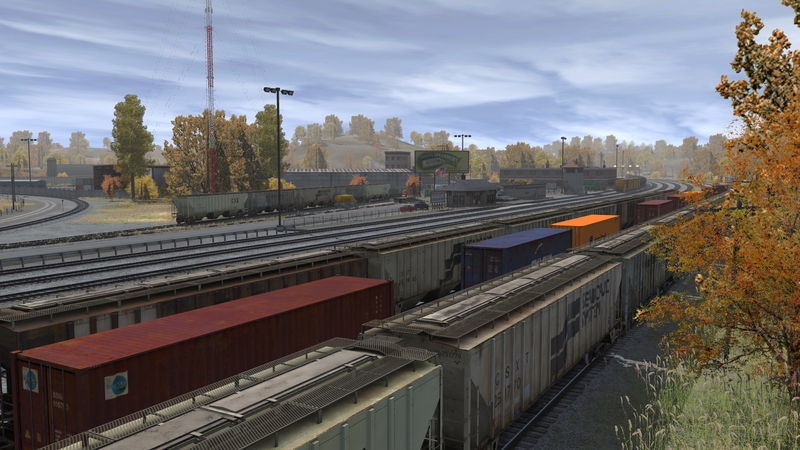 The content pack problem was due to a missing asset for the 20ft containers. Not available on the DLS. Fortunately the author provided his website address in the config file. 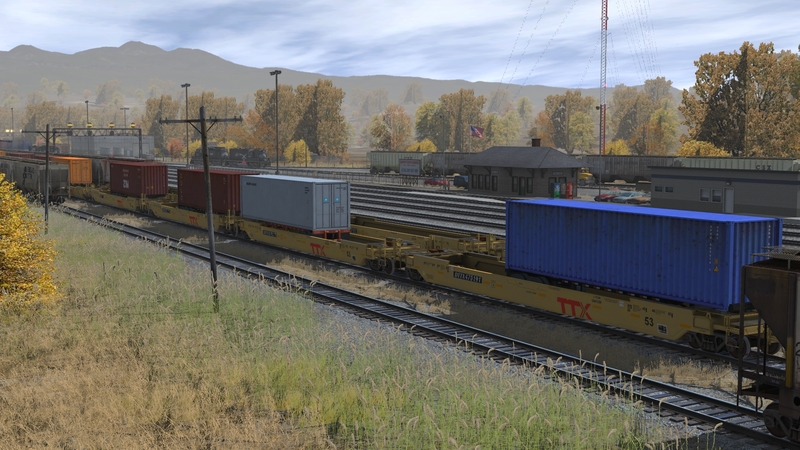 Just go to “socaltrains.weebly.com”, click the TRAINS DOWNLOADS link at the top right, Agree to the license agreement (bottom of the page), click on PRODUCTS, and grab the 20ft containers. Overall, well worth the price for what you are getting. The locos alone are worth the price. 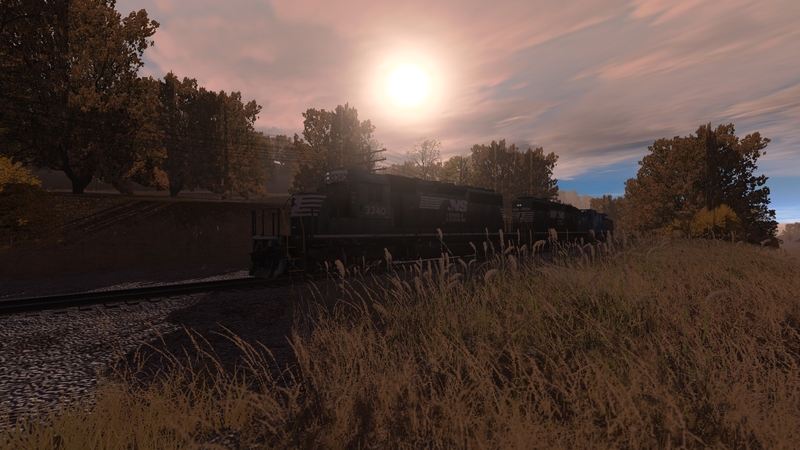 And while the route is beautifully done, the content pack really makes it come to life. As a noob to the T:ANE world, I figured to go with a new payware style route that is after more after my fancy. 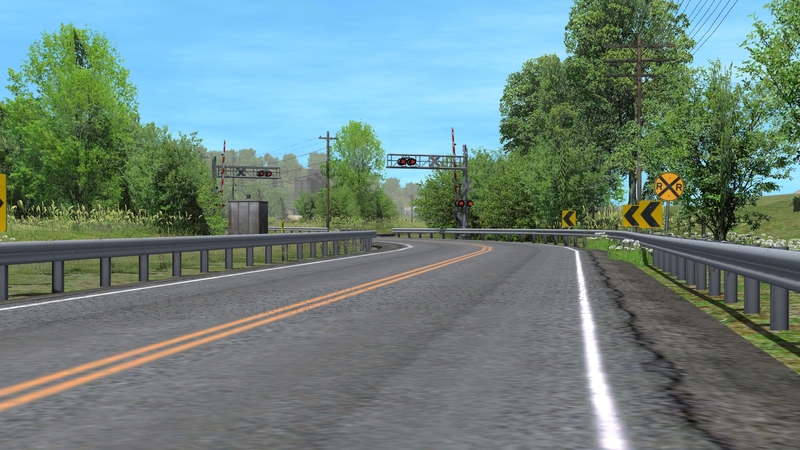 Tidewater Point looked to be the 1st one because of it’s NE USA look which I love railfanning, modeling & simulating. It doesn’t disappoint except for a few technical issues I have to learn to resolve. After that , I know this route will shine. Lots of great PRR, PC & early CR feel to it. Looks great running CNJ, DLW, ERIE, EL, LV too (For me at least). Buildings are stunning, track layout is just to my liking. Brings me to the feel back to the early to late 1970’s Northeast USA Railroading. The motive power & rolling stock of the Tidewater RR I love. 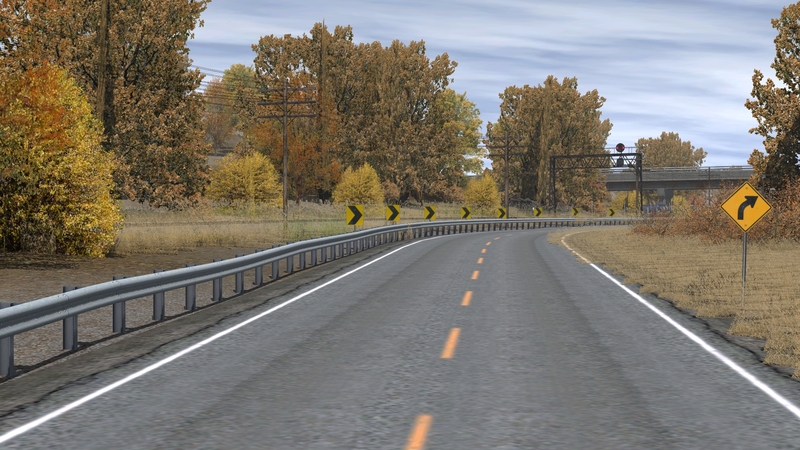 A great shortline to interchange with the big roads. 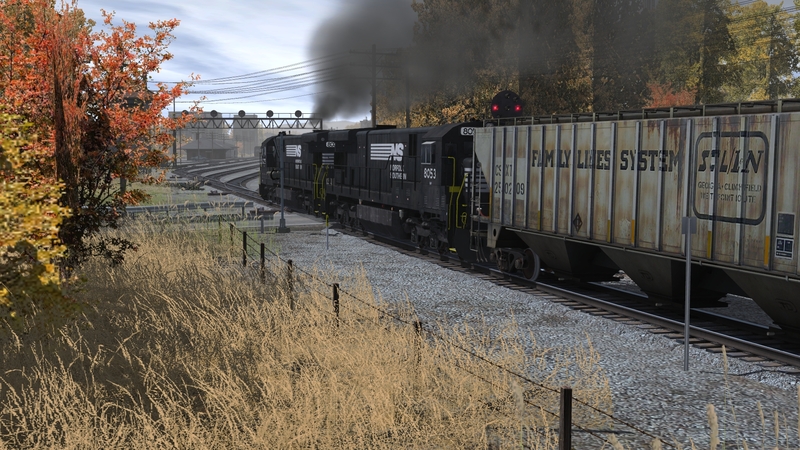 This is going to make for hours of rail sim fun for me. But overall I give this route 4 stars. I agree with Eric, the locos & rolling stock are worth the price alone. Well worth the price & looks like hours of fun on my end. The trees are a DLS asset and unfortunately out of our control. The user is aware of the issue that uploaded the faulty item and is issuing a fix shortly we hope. In the meantime look up kuid2:19691:10014 in content manager. Delete the version that is noted with a :2 at the end and install the version with the :1. This should temporarily fix any issues. First of all YOU NEED TO BUY THE CONTENT PACK TO EXPERIENCE THE ROUTE AND ALL ITS POTENTIAL!!!!!!!! Now with that said I am amazed by this route! 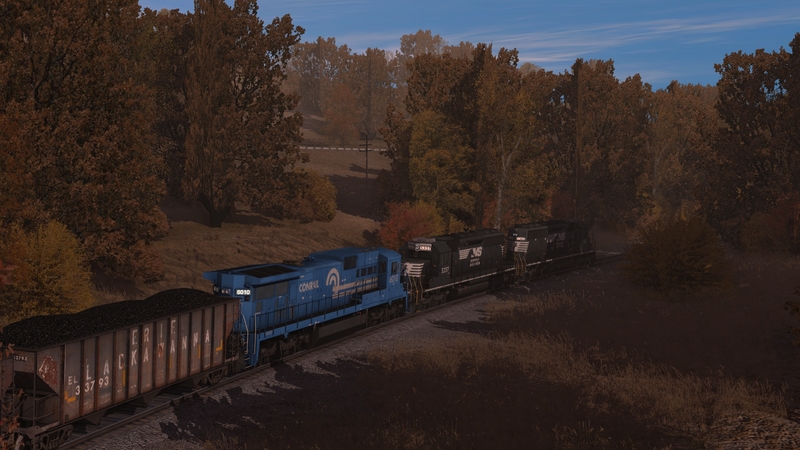 If you own JR Coal Country or Legacy of the BN, you are going to love this route! the attention to detail is off the hook! I have been adding to my train collection for years and the first place I purchase from is Jointed Rail because these guys really push the envelope when it comes to creating real world submersion. Buy this route and you will be very happy with the purchase! Awesome job JR and all those CC that make this such a fun hobby!! This route is truly amazing! 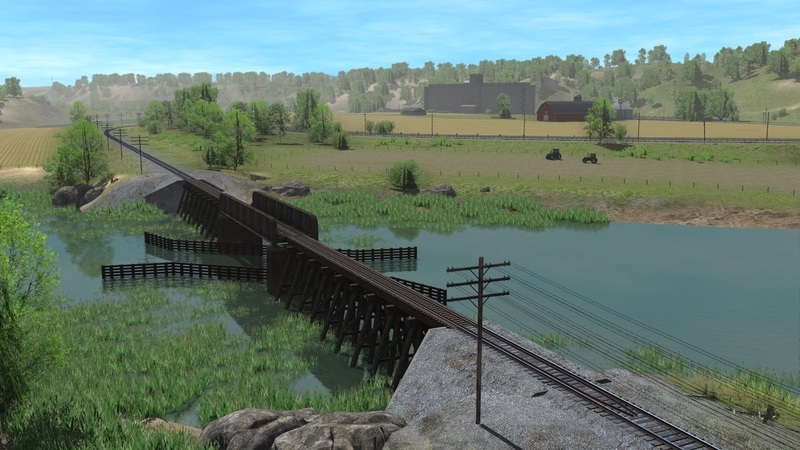 As stated above, there is a ton of attention to detail along the route and if you are into taking screenshots like I am, this route is definitely for you! 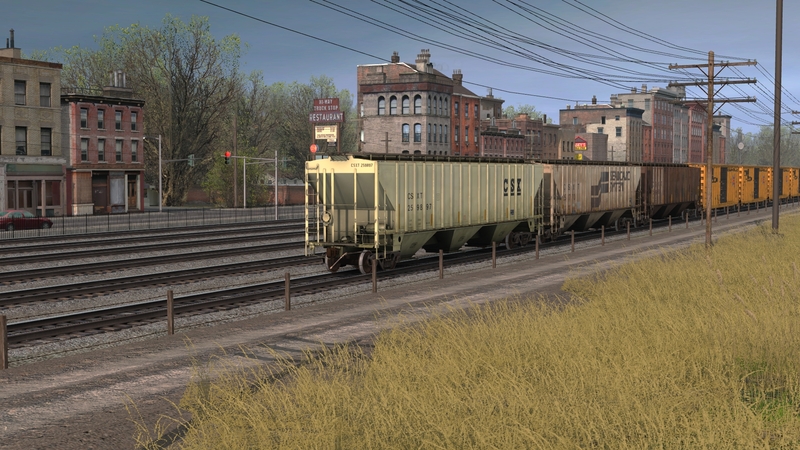 Growing up in Western PA back in the 80’s, this route seems to bring back the memories of the town and outlying areas I remember from being a kid. This is a perfect route for my JR Chessie System locos and rolling stock. Also as stated above, the beautiful rolling stock alone is worth the price!!! Great work JR! I will buy any other routes you guys have if they look anything like this! It’s a really nice route. Just one question. What is it with JR and collapsed bridges? In my honest opinion this route better than it’s predecessor. I remember the original route and I think that these folks have hit the nail on head with this route. If your on the fence about getting this route, I would suggest buying it. The engines are also top notch, especially with their sounds. This route is AMAZING. The looks are great, the loco’s are great, the rolling stock is great and everything else is great. I think it would be cool to see some more loco’s in TPRR liveries or an other route ran by the Tidewater company (just some ideas). good. only problem is with the sessions and free drive. when I try to go on the grain elevator track, the switch won’t show the icon and the switch is stuck and won’t switch the tracks and it happens at other places too. everything else is good. The original in TRS2004 was always a favorite, this just makes the idea even better. The content pack is a must have for sure, but the route alone is a New Era must have. Like the PVRR I’d love to see the TRR livery expanded expanded. I have a lot to say about the route. The route layout is fantastic and the visual aesthetic is incredible! The engines the route comes with are pretty well done too. If you’re wondering why I put in a 4 out of 5. It’s because of a track issue I have where all the dependencies are installed, but about 95% of the track appears as the same one if there’s a missing dependency and for the most part, if a train isn’t on the tracks, the track is invisible. I asked about the problem, but it seems nobody wants to help. Did you send an email to support? We help all of our customers.